Believe it or not, it's been about 30 years since Bill Murray, Dan Akyroyd, Harold Ramis and Ernie Hudson took up shop in a former New York City firehouse to form a company that involves the extermination of ghosts. Ivan Reitman's Ghostbusters first came to U.S. theaters on June 8, 1984, and cemented its place in comedy history. This is an anniversary worth celebrating, and the folks at Columbia Pictures are doing their part to provide a way to do so. Entertainment Weekly has gotten word that a newly restored and remastered version of Ghostbusters will be released in over 700 theaters nationwide later this summer. Announced for the weekend of August 29th, it will be competing with a good number of wide releases, including the Blumhouse horror movie Jessabelle, the thriller remake The Loft, and the Pierce Brosnan action movie The November Man. The screening run will probably be rather limited, as there are a number of big titles coming out in September that will clog the theaters, but the good news is that seeing the movie on the big screen won't be the only way you can show your fanhood for the franchise. The theatrical re-release is only part of a much bigger anniversary plan that, according to EW will also include "special events," collectible merchandise, and a brand new Blu-ray set. Dubbed the Ghostbusters 30th Anniversary Edition, the disc set will not only include presumably the restored version of the first movie, but also a copy of Ghostbusters II - which has not yet been available on Blu-ray. 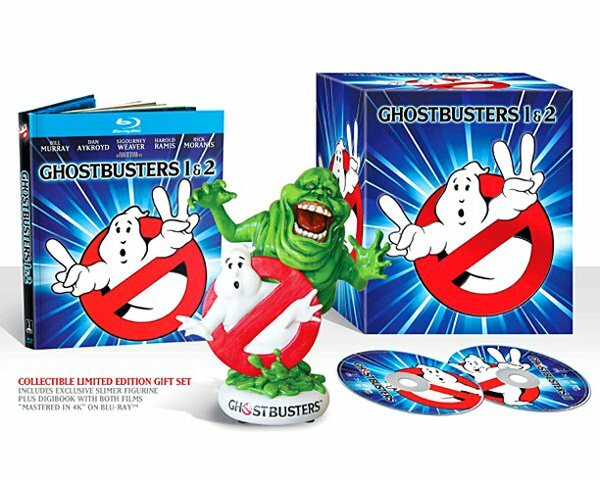 New special features will include conversations with Ivan Reitman and Dan Aykroyd as well as "deleted scenes from the sequel." The home video release will be coming a few weeks after the big screen experience and will be in stores September 16th. This, of course, has been a year of ups and downs for Ghostbusters fans so far, as it was just this past February when news came across the wire that Harold Ramis had died. This sad announcement was eventually paired with the reveal that Sony is moving full steam ahead on Ghosbusters III, which has been in development for what seems like an eternity. The search is currently on for a director, as Reitman has abdicated the seat, choosing instead to focus on more intimate projects. No release date has been announced yet, but the plan is start to production at the start of 2015.